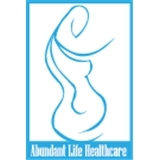 Abundant Life Healthcare (Lawrenceville) - Book Appointment Online! I really appreciate the compassion she showed me. I felt like I was talking to my mom or my best friend. She let me know that whatever the outcome of this pregnancy is, we will get through it. Right away she wanted tests done to be sure of everything. And we will take it from there. I would definitely recommend her for your pregnancy and life planning needs. Dr Marc-Jean has amazing energy and his knowledge and experience were reassuring. He has done more for me in my first visit with him than previous obgyn... Dr. Marc also provided moral and medical support..... Definitely recommend Abundant Life.